Delta's heaters are designed with intelligent energy usage in mind and utilize positive temperature coefficient (PTC) heating elements to ensure that chosen temperatures are maintained, avoiding costly waste from continuous heating operation. 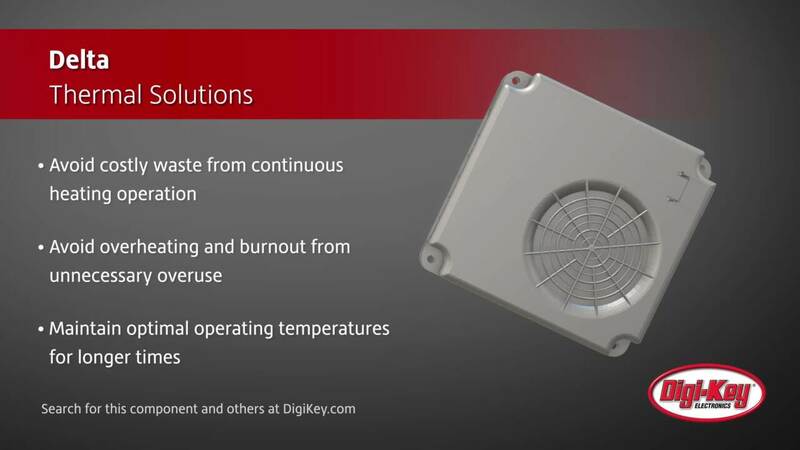 This thoughtfully-designed operation mode safeguards the heater for longer use between maintenance cycles by avoiding overheating and burnout from unnecessary overuse, allowing electronics to maintain optimal operating temperatures for longer despite low-temperature environments. Built upon decades of experience in creating safety measures, Delta engineers crafted this PTC-based heater series with additional safety protection features including mechanical temperature switches, NTC sensors, and fuses, with HEH100/150 models having double isolation on their PTC device. As a package, this Delta heater series offers reliable, durable, and energy-efficient operation without compromising performance.